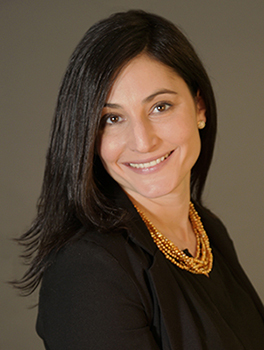 PSD’s Interior Designer, Angela Rotondo, has over ten years of experience developing the interiors in both high-end residential and commercial design. She brings a unique perspective to each project that balances space functionality and aesthetic value with the artistic experience. Her interiors are practical, well thought out spaces that create harmony with the exterior environment. Through the use of modern fixtures complemented with traditional elements, she creates the perfect balance needed for a simplistic neutral space that inspires leisure and comfort. In collaboration with the PSD architectural team, she has designed and coordinated the interiors and selections for many high-end coastal contemporary projects. Recently, she has been developing the interiors for an eight home historic luxury neighborhood in downtown Chatham. A graduate of Wentworth Institute of Technology, Angie is also NCIDQ certified and a LEED-accredited designer. The Design Home is envisioned as a contemporary, luxury retreat that provides a nature-inspired escape from an urban lifestyle. Natural light, bright open spaces and woodland views create a sense of comfort and relaxation. The open concept living area showcases a gourmet kitchen with inset cabinetry and a large center island, comfortable dining for eight and a variety of seating options for family and friends to gather around the stone fireplace. Intimate spaces, peppered with casual furniture and soft textural accents, provide cozy escapes for reading or studying while also featuring the inspiring views. The spa influenced bathrooms work in harmony with the exterior environment creating a feeling of calm and well-being. The sophisticated interiors are characterized by clean lined upholstered pieces complimented with subtle nature-inspired accents and textures. A neutral color palette balances the exterior environment with the interiors while also creating the perfect backdrop to a tranquil retreat.